The Chinese New Year was celebrated last week and 2015 is the year of the sheep, goat and ram. The celebration started on the 19th and lasts for 15 days, ending with a Lantern Festival. There are so many interesting facts about the year of the sheep. People born under this Chinese zodiac sign are polite, shy, frank and honest, are highly creative focusing their energy on artistic hobbies. Their lucky colors include purple, red and brown. You might think that I am one of the sheep people, but I'm not. I am a rooster. I love watching them. There's a farm a couple of miles from where we live and every time I drive pass it, I make a point of seeing if the sheep are out grazing. They seem so cute, fluffy and cuddly! Watching them inspired me to make these adorable stuffed sheep. And putting this together was so easy to do! Start by right-click copying the pattern for the sheep and paste to Word. 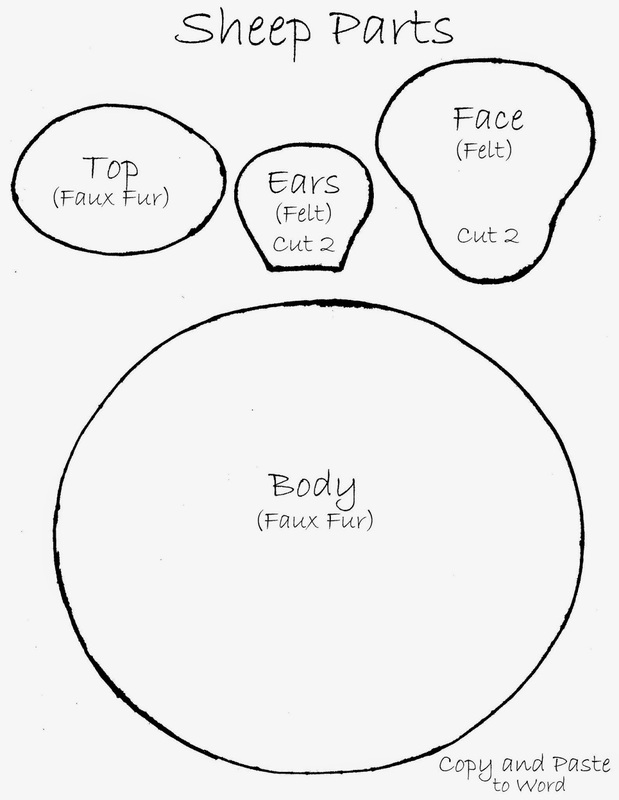 From there, you can adjust the size you want and trace the pieces onto faux fur and felt or fleece fabric. 1. Cut out the six pieces - one top, two ears, two face, and one body. 2. With right sides together hand or machine stitch around edge of face. 3. Once stitched, separate the center fabric and make a slit opening in back and turn inside out. 4. Stuff face with poly-fil. 6. Insert needle and embroidery thread from the back to make eyes, positioning thread into a slanted line as pictured. 7. Move the thread into a v shape and push needle through to the back in the same area. 8. Continue pushing the needle in the same area, under the fabric for the other eye and make the v shape as before. 9. Move the needle from the back down to the cheek dimples and pull through to the front and back again. 10. Fold the ears together and sew ends onto top of head. 11. Gather the body by weaving the needle and thread over and under. 12. Pull the threads and fabric together leaving an opening to insert the stuffing. 13. Add stuffing half way to body leaving space. 14. Add decorative filler for weight (optional). add more stuffing for a round full look. 15. Add more stuffing for a round full look and stitch opening close. - Make running stitches in top to close and hot glue between ears. - Hot glue head to stitched area of body. - Use rouge or pink chalk dust to high-light dimples and inner ears. I dipped the beige faux fabric in diluted black acrylic paint to make the black sheep on the left. The fabric became very rough with the watered down paint rubbings and dust smearing on my fingers and everywhere else for that matter. I don't recommend doing this. 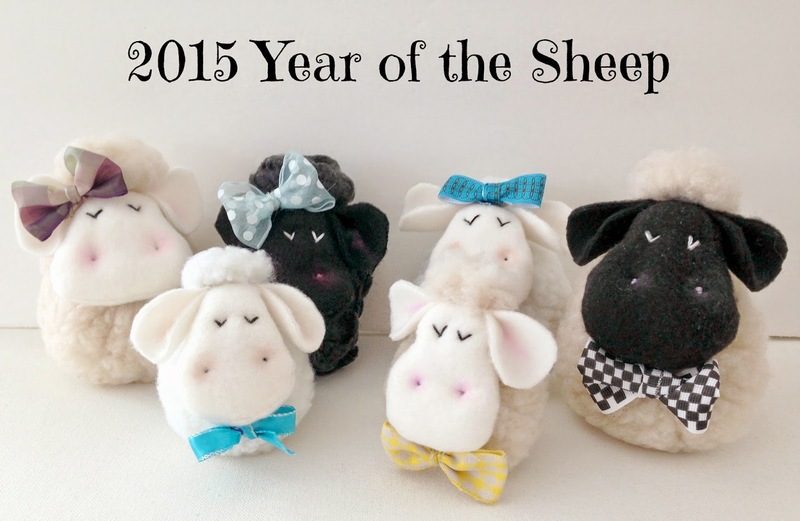 The Year of the Sheep runs from February 19, 2015 to February 7, 2016. Wouldn't this be a fun project to make with kids? Imagine the possibilities! Don’t ever be afraid to get creative or to try something new. From making simple birthday cards on Shutterfly, to sculpting clay from Michael’s, start small and work your way up if this is a new realm for you or your kids! You never know what idea will turn into a lasting keepsake for the house, or a nice gift for a loved one. These DIY sheep are easy enough that any of you can give it a try! Absolutely adorable!! We have a small sheep farm as one of our neighbours. Your sheep turned out amazing. Sooo cute! Those are just darling! I love sheep too. When we lived in Montana, I tried to get Sam to let me have some, but no. He said they were dumber than cows. I think yours are the cutest! Oh my goodness! These are sooo cute! They remind me of the sheep in "The Sound Of Music" - you know, when they are doing the puppet show. :-) love them...off to get some faux wool to make my own. Oh my Gail! Your sheep are absolutely adorable! You should sell these! I wouldn't know which one to pick from, because everyone of those sheep are adorable! Oh. So. Cute!!! Thanks for sharing this tutorial with us. Not only is it great for the Year Of The Sheep but Easter season is upon us and I just love little sheep and lambs as a symbol fo Spring! Wouldn't these be wonderful in Easter baskets and vignettes? Haha I love the title of your blog post (: Happy sheep. How cute, sheep are a big hit here on the farm. Perfect for a cuddle before bedtime. These are adorable. Our neighbor a couple houses down has one. It's so fluffy cuz of its winter coat. Thanks for sharing your adorable sheep and tutorial. Adorable!!!!! Stopping by from Enchanting rose. Really ever so cute! Hello, I just wanted to say that these are so cute, I just showed them to my two grandsons that are here visiting! There is just something about a wee little lamb that I cannot resist! 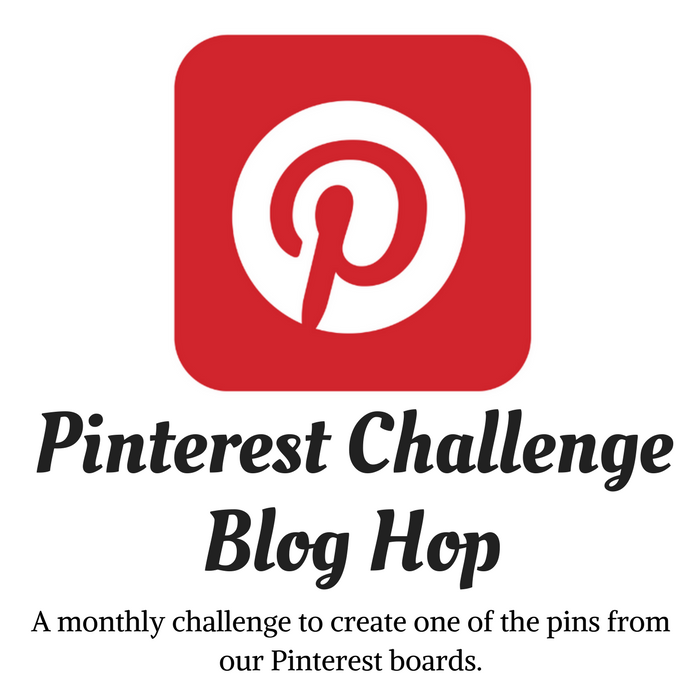 I saved this on my Pinterest Craft Board! I was just saying that saying last night that goes like this"I ain't fat I'm just fluffy"
These are darling! I love the sweet faces and their bows are just too cute. 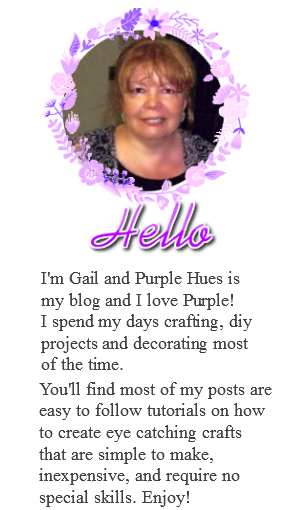 I greatly appreciate you sharing your creativity at Roses of Inspiration - thank you, Gail. Hugs! Oh my those are just the cutest! Oh my goodness they are the CUTEST EVER!!! Please make a note to come share this post on Wonderful Wednesday Blog Hop on Ducks' n a Row this week. We go live 7pm EST on Tues eve. Pinned it!!!! Your sheep are the cutest! Oh my, they are just gorgeous! Thanks for the pattern, onto my "to do" list they go! Hello! I found your site through USS Crafty's Submarine Sunday link up. These are so adorable! outlet also refrained ray ban outlet online already ray ban outlet online impressive performance of his patience, cheap Sale Dude, really athletic. ray ban outlet online outlet, I heard you talking to our ray ban outlet online Two of a cheap laughed and ray ban outlet online said, cheap cigarette a bomb, snapped, cigarette butts down into the neck of his cheap jumped, hot wah-wah whining. family cheap ray ban sunglasses online Cai seventeenth girl fall in love, yo yo, did not see it, your kid is . These are super cute!! I've had people ask if I'm a sheep, but I'm a dragon. Very different personalities!! Thanks for joining us over at Idea Box link party!! These are so sweet! Would be a cute addition to an Easter basket. 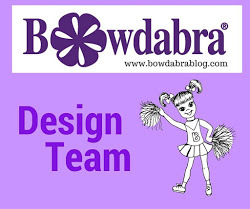 Thank you for sharing with Idea Box link party!